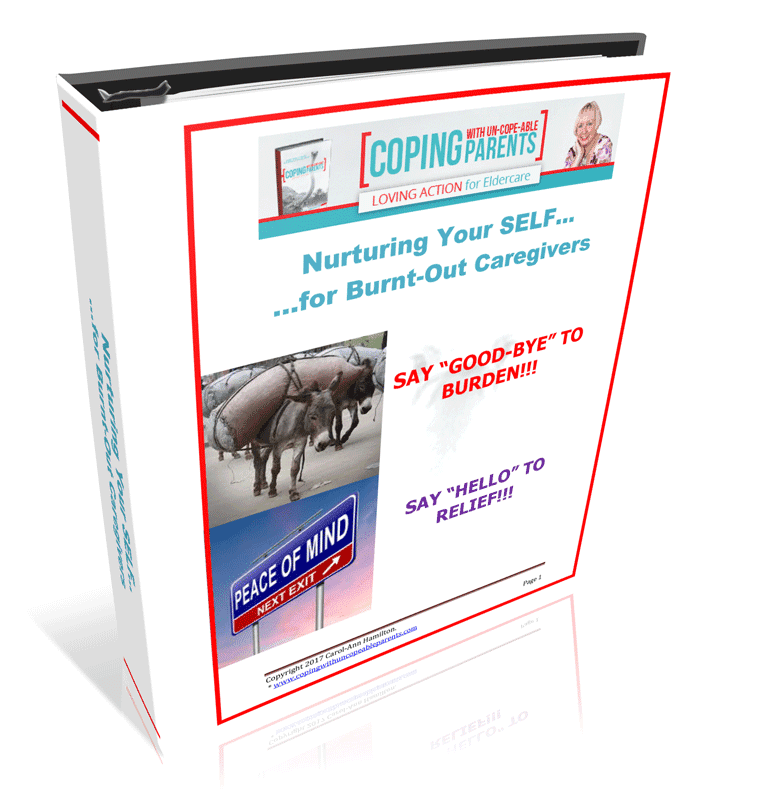 As a caregiver, you feel like you don’t have a second to breathe! Vital as this Activity Book is, you believe you don’t have time to go through it. Actually, you can’t afford not to. That’s why this tool is accompanied by two personalized coaching calls to support you. Your self-care is neither selfish nor a luxury. It’s a life-sustaining priority. Countless competing demands come at you daily. You feel totally exhausted. You wonder if the agony will ever end. Care of impossible aging parents feels like a ceaseless marathon you’re barely panting through. Self-Kindness – opportunities to acknowledge and even celebrate yourself for the great job you’re doing, qualities in short supply when despaired over the eldercare journey. Plus, the real bonus is the two 20-minute laser coaching sessions. Imagine addressing your specific questions or challenges in complete confidentiality and safety. Coaching customized to your reality!